Guys, it's February. Only the dreariest, grayest month of Winter. It has been snowing like crazy here for the past few days, and although I do need to schlep myself into work daily, I really just want to hide under a cozy blanket and sleep until noon. Since this is not an option, I do what I can to make my apartment as cozy as possible, so I know that I have a warm and inviting home waiting for me at the end of a long day. 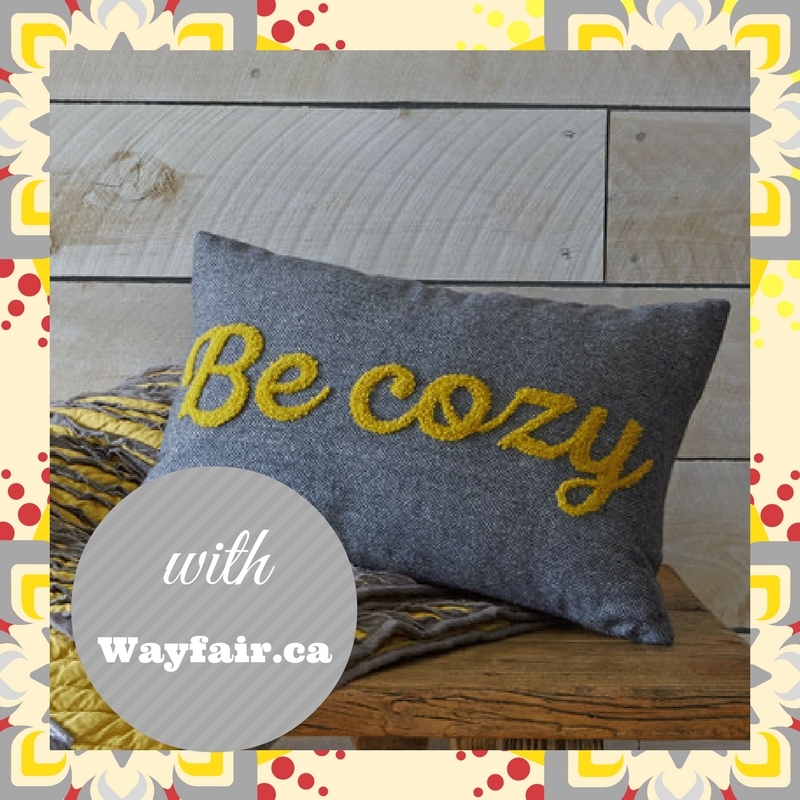 I am obsessed with everything that Wayfair.ca* has to offer in terms of turning your home into a comforting retreat, so I thought I would share five pieces with you so that you can create a space that makes you feel snuggly and warm on those cold winter nights in February. Cozy throws are an ESSENTIAL when it comes to fighting those winter blues. There is nothing better than wrapping yourself into your very own cocoon at the end of a cold, grey day. 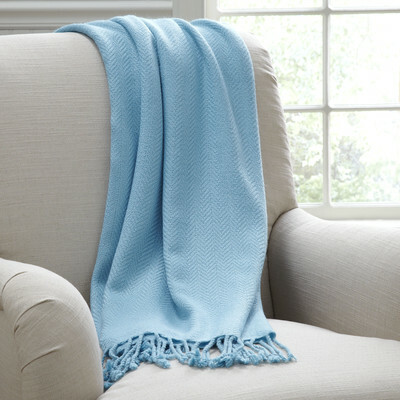 This gorgeous baby blue throw adds the right amount of color to lift your mood and keep you warm at the same time. Wayfair has so many different throws and blankets to suit everyone's style and aesthetic, it's not hard to find something you will love. The right lighting is so important for creating a warm environment. Lamps and dim lighting are key for coziness, and these 3 hurricane lamps are so gorgeous! 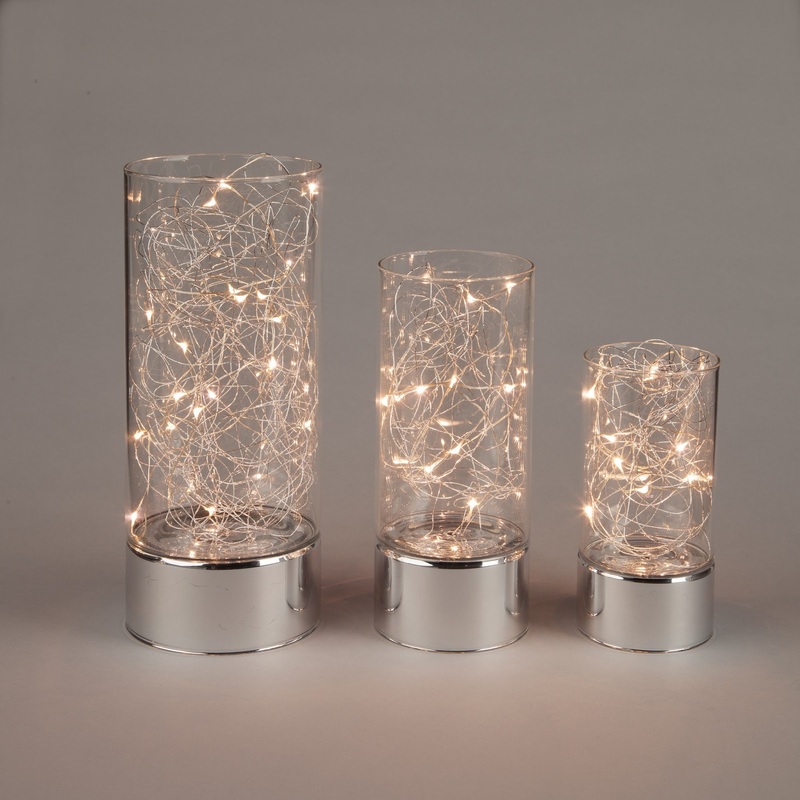 I am in love with their soft glow and modern design. To add to your snuggle worthy lighting, candles are another way I find that set the mood for relaxation and a comfy night in. And if you are like me and don't have a fireplace but have always wanted one, why not create your own? 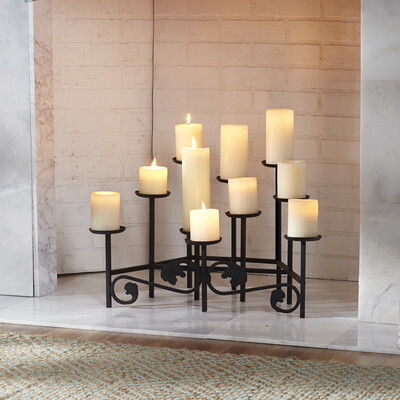 And don't worry about burning the house down, Wayfair has a ton of flameless candles to choose from. I mean, a couch (or sofa to my lovely American friends), is the heart of your relaxation comfort at the end of a cold commute home, isn't it? 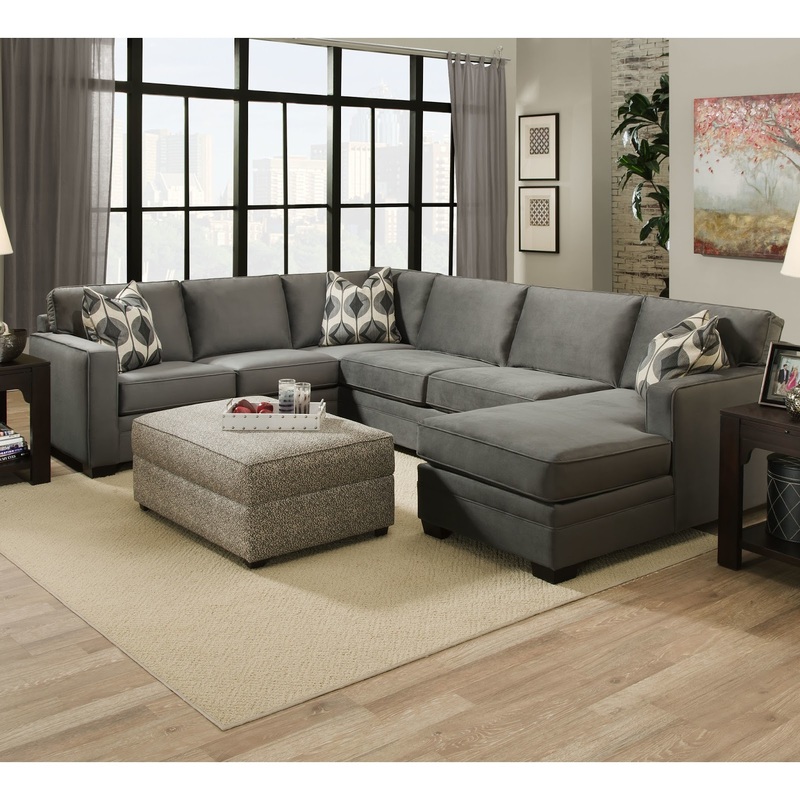 With enough room for the whole fam to stretch out on, I am obsessed with this Cole Sectional. It's just missing your favorite throw and you are in cozy heaven. Although this one needs no introduction, the winner of the ultimate winter blues fight: a soaking tub. 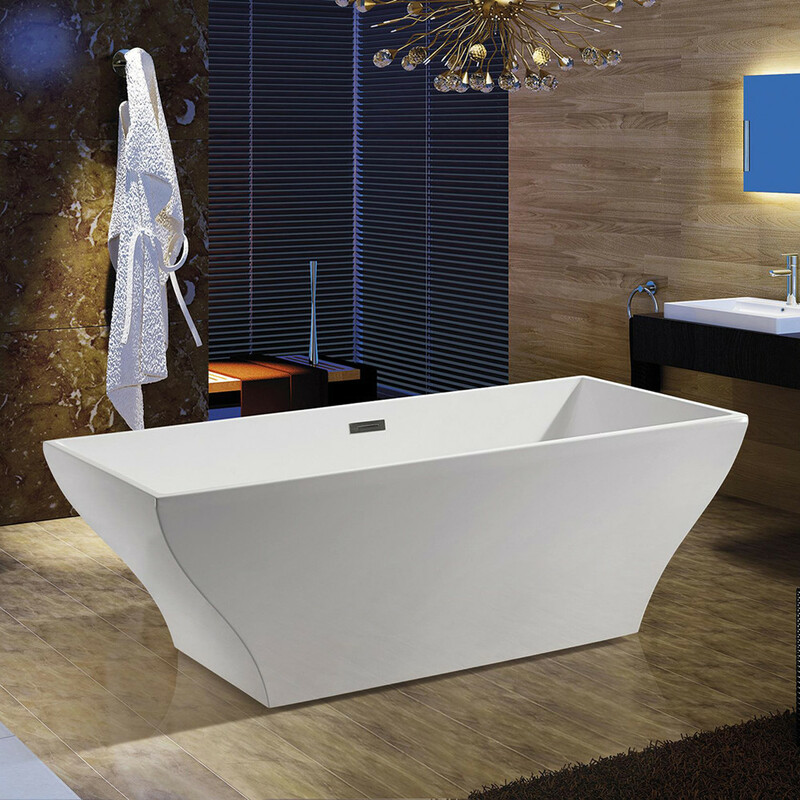 There is nothing better than having a bath after you have trudged through the snow and sleet to get home after working all day or running your errands. Bring your book, light some candles, or even throw your favorite movie on on your laptop and enjoy. How do you make your home feel cozier in the last days of Winter? *This is not a sponsored post, I wish! I just love everything they have on their site.